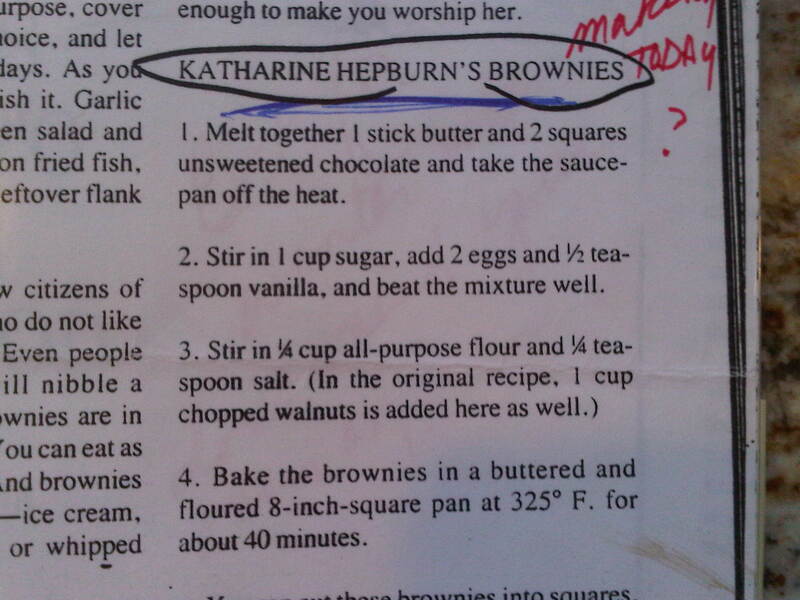 Katharine Hepburn’s Brownie recipe… yep, the real deal! My mom sent me this recipe years ago… she had gotten it from the February 1992 issue of Gourmet magazine (still can’t believe that magazine isn’t still around). I didn’t eat fat, so I never made them. I filed it away in case I ever fell off the wagon. Then one day we were visiting Michigan, we arrived to a pan of piping hot brownies. 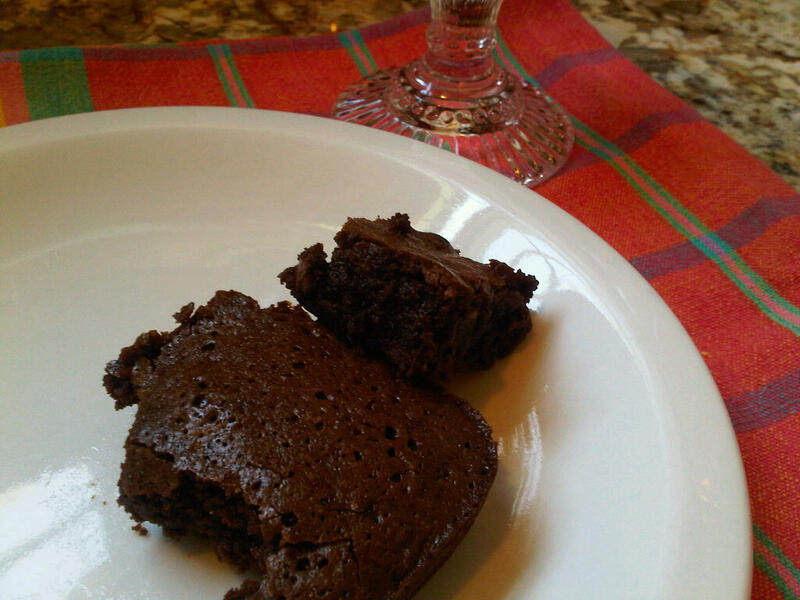 Whoa… the best I ever tasted, with deep chocolate flavor, more fudgy than cakelike, I was in heaven! Then to read how simple these puppies were to make made my head spin (dramatic once again). Trust me, you won’t make these only once. You’ll NEED them, ha ha, and you’ll make them more often than you should (or perhaps I’m talking about my own problems here, hmmm). They couldn’t be easier, using only 1 pot and 1 8″ pan! 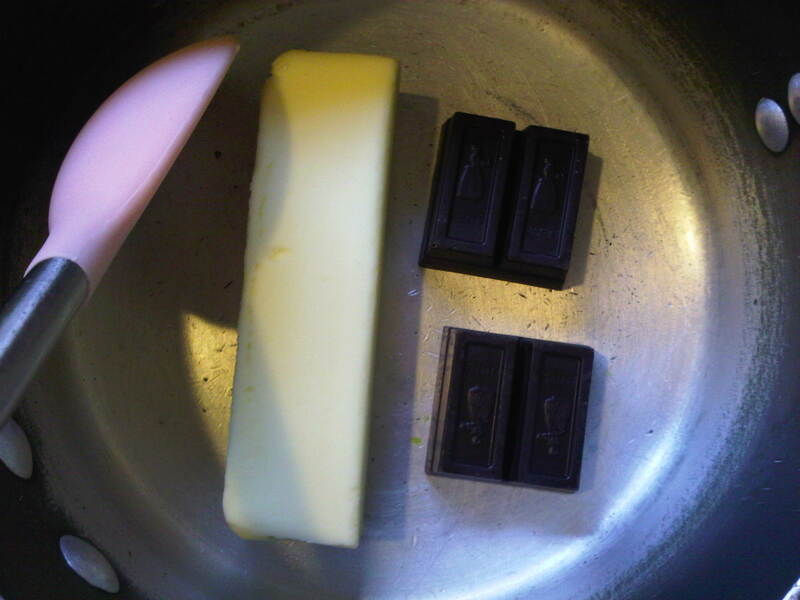 Melt together 1 stick of butter (I know… ugh, but…) and 2 squares unsweetened chocolate, then take the saucepan off the heat. 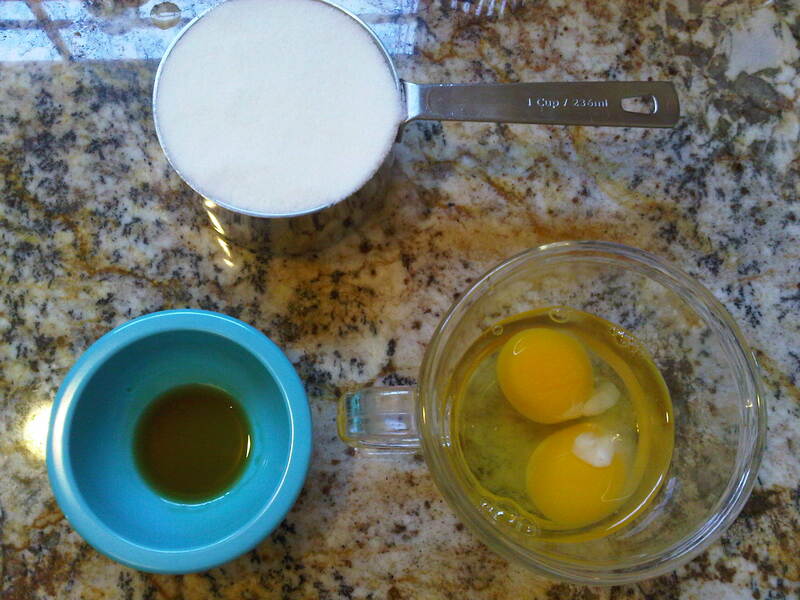 Stir in 1 cup sugar, add 2 eggs and 1/2 teaspoon vanilla, and beat the mixture well. Butter an 8″ square pan (recipe says to flour as well, this time I forgot and they came out of the pan easier, so I leave that up to you… to flour or not to flour). 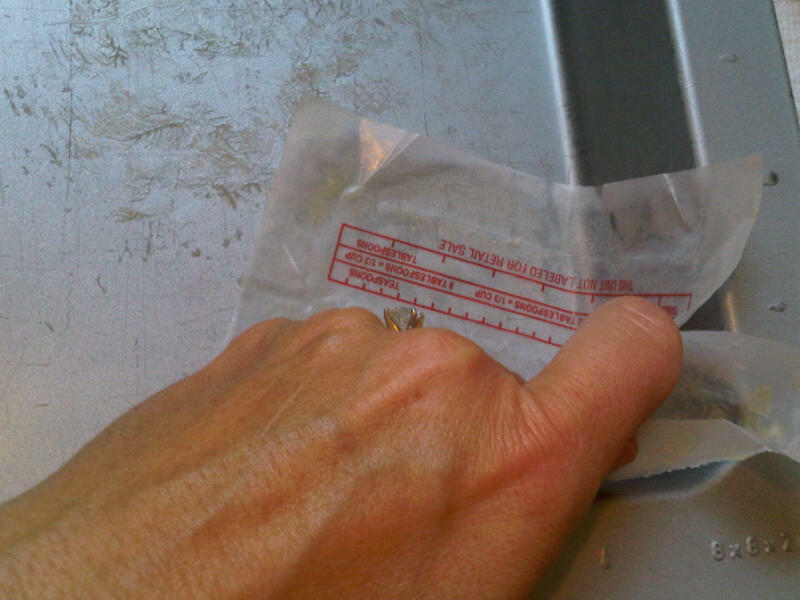 Happy Hint: when I use a stick of butter, I put the wrapper in the freezer. When I need to butter a pan I pull the wrapper out and let it sit a minute to thaw, then use it to spread. It works perfectly every time! Now bake these at 325 for about 40 minutes (says the recipe) my oven is 30 and not a second more! Try, try, try not to eat them all before someone gets home… hee hee. It’s not easy. I tried to get one cut and on the plate and a picture snapped and HEY someone took a bite… hmmmm, suspicious! Note: if you don’t have unsweetened chocolate squares you can substitute (via WhatsCookingAmerica.net) 3 level tablespoons unsweetened cocoa powder and 1 tablespoon butter, margarine or shortening for every 1-ounce unsweetened baking chocolate. 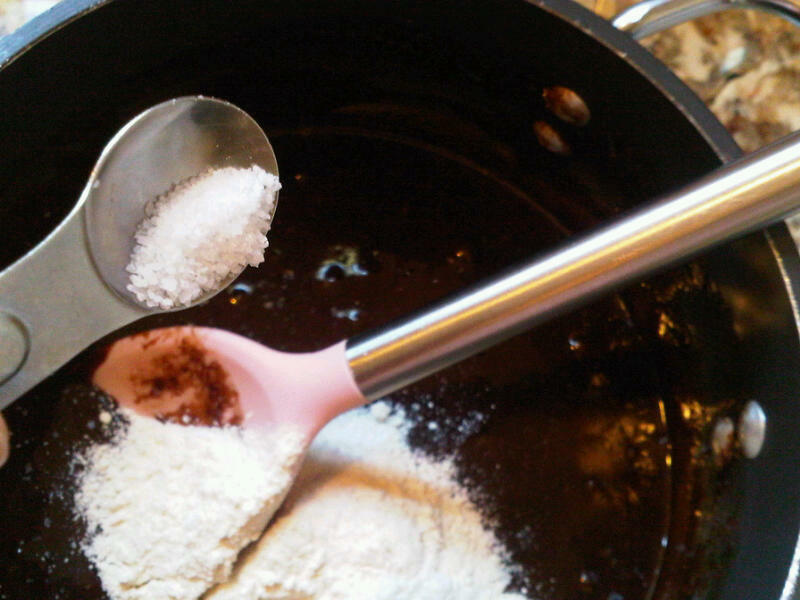 3 level tablespoons Dutch-process cocoa plus 1 tablespoon shortening, butter, or oil for every 1-ounce unsweetened baking chocolate. Catch you back here tomorrow… I have to go walk, for about 14 hours as I calculate it! Worth every bite!